Bubblemaker is a fun program especially designed for kids. 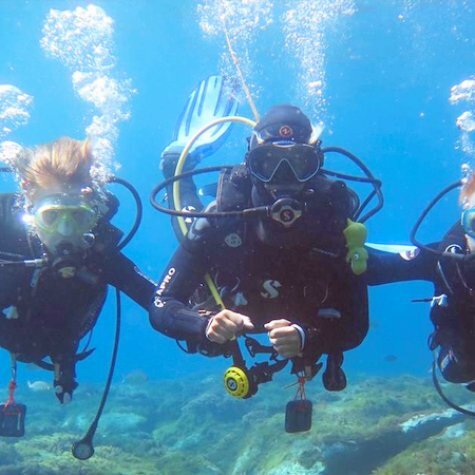 It is an easy introduction to the use of scuba in the safe confined of a shallow pool. An instructor will explain the correct breathing and swimming techniques and underwater communications and will guide the kids in underwater fun and games. After the season a certificate will be presented by their instructor.